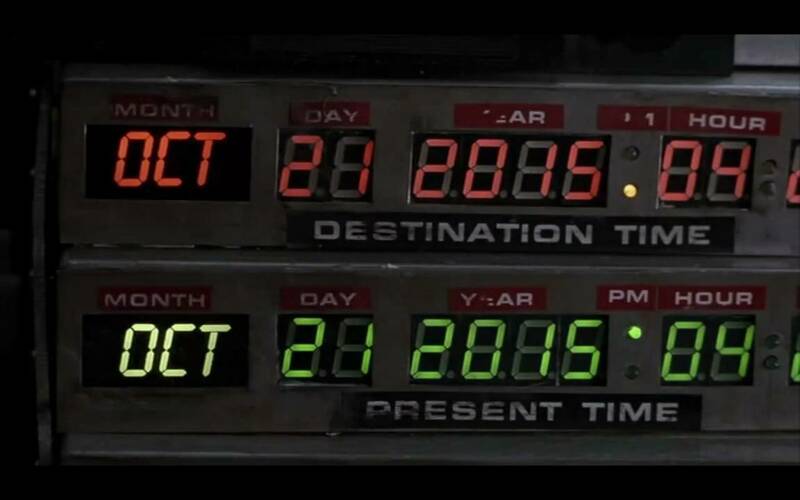 Today is a red-letter date in the history of time travel stories – the day Marty and Doc went to the future! In honor of Back to the Future Day, we are going to explore the basic dynamics of time travel in fiction. What are the consequences for your characters of the possible rules of time travel? A changeable timeline gives the characters much more freedom – and much more ability to screw things up. Examples of a changeable timeline include stories like Ken Grimwood’s Replay and, of course, the Back to the Future series. Although the mechanics are different, both of these stories offer characters the chance to change the future. In Replay, Jeff and Pamela play out their lives over and over and keep waking up after death at age 18 in 1963. They make different choices in each lifetime to unravel a mystery they are trying to solve. In Back to the Future, Marty and Doc are working to rectify their accidental changes to the timeline and change the future back to what it should have been. A resistant timeline, such as in Stephen King’s 11-22-63 or Diana Gabaldon’s Outlander series, offers the author a very interesting framework for the plot. 11-22-63’s narrator Jake Epping, in an effort to change history, tells us again and again, “The past is obdurate.” Stephen King uses the obdurate past as an antagonist. Diana Gabaldon in Outlander, meanwhile, uses the resistant past as sometimes good (e.g. I can’t do too much harm) and sometimes bad (e.g. what if I accidentally prevent someone important to me from being born?). Audrey Niffenegger’s The Time Traveler’s Wife and JK Rowling’s Harry Potter and the Prisoner of Azkaban both provide great examples of a predetermined timeline. A predetermined timeline sneaks up on our characters; they may know what is coming and have no way to change it. Or perhaps they know they have to do something but must figure out how to do it. In the Time Traveler’s Wife, part of the sneakiness of the plot lies in how sometimes Claire knows what’s coming and sometimes Henry does. In Prisoner of Azkaban, Harry and Hermione only realize just in time what they need to do to save their friends – and they have to figure out on the spot how to do it. Each of these approaches comes with its own positives and pitfalls. Which is your favorite? Which dynamics of time travel did I leave out? What are other examples of great time travel stories? Posted in Culture and tagged 11-22-63, Back to the Future, Diana Gabaldon, Harry Potter, JK Rowling, Outlander, plot, plot devices, Replay, Stephen King, The TIme Traveler's Wife, time travel. Bookmark the permalink. Time travel is something I can’t quite figure out, since there would be no future if we mess with the past. I guess it really depends on the rules of time travel for the universe of the story. In the 3rd Harry Potter book, it definitely goes into the dynamics of predetermined time travel (that is, time travel that is already set, a la predestination), which a fascinating thing to explore.